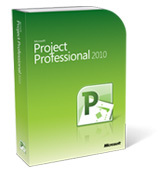 Microsoft® Project Professional 2010 is a project managers software that gives project managers a new and easier way to manage wide range of projects and programs. With all of the new updates and visual enhancements of Project Standard 2010, Project Professional 2010 delivers more with at-a-glance resource management and team collaboration tools using Microsoft® SharePoint® Foundation 2010, to successfully complete all types of projects. And, utilizing Project Professional 2010, you and your organization can realize the results of unified project and portfolio management by adding Microsoft Project Server 2010. Download What’s New. Enhance team collaboration by sharing information more efficiently—simply save, print or publish in one easy-to-manage Microsoft® Office Backstage™ view. Convert Microsoft® SharePoint® Foundation 2010 task lists to realize project schedules. Publish your project plans to SharePoint® Foundation 2010 task lists so team members can update task status—automatically synchronize to receive updates directly into your project plans. Save, share and manage—simply be more connected in the ways you expect with Project Professional 2010 and SharePoint® Foundation 2010. Connect Project Professional 2010 with Microsoft Project Server 2010 and gain control across all types of work, improve project selection and strategic alignment, maximize resource utilization and visualize performance through powerful dashboards. 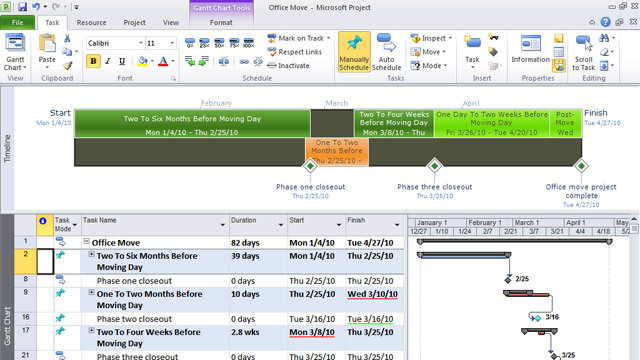 Microsoft® Project Professional 2010 delivers a project management system with powerful, visually enhanced ways to effectively manage a wide range of projects and programs. From meeting crucial deadlines to selecting the right resources and empowering your teams, Project Professional 2010 helps project management professionals by offering easier and more intuitive experiences to be more productive and realize amazing results. Microsoft® Project Server 2010 provides unified project and portfolio management to help organizations prioritize investments, align resources and execute projects efficiently and effectively. Download What’s New. Microsoft Project Server 2010 brings together the business collaboration platform services of Microsoft® SharePoint Server 2010 with structured execution capabilities to provide flexible work management solutions. Project Server 2010 unifies project and portfolio management to help organizations align resources and investments with business priorities, gain control across all types of work, and visualize performance through powerful dashboards. Microsoft Project Server 2010 is built on Microsoft SharePoint® Server 2010, and brings together powerful business collaboration platform services with structured execution capabilities to provide flexible work management solutions. Project Server 2010 unifies project and portfolio management to help organizations align resources and investments with strategic priorities, gain control across all types of work, and visualize performance by using powerful dashboards. 1. Unified project and portfolio management. The best-in-class portfolio management techniques available in Microsoft Office Project Portfolio Server 2007 are incorporated into Project Server 2010, providing a single server with an intuitive user interface that offers the right tools to support the entire project life cycle. By combining top-down portfolio management techniques with bottom-up project management capabilities, Project Server 2010 helps organizations identify and select optimal portfolios, and successfully deliver the projects to realize results. 2. Drive accountability and control with governance workflow. Project Server 2010 workflow capabilities help organizations define the right governance processes to effectively control all types of work—project and operational—throughout the work life cycle. Establishing checkpoints within the process and identifying individuals with the appropriate approval authority helps drive accountability, increases awareness, and provides an auditable record of all investment decisions. The new Proposal Status Page helps the Project Management Office (PMO) effectively communicate the governance processes and educate employees to drive adoption, satisfaction, and compliance. 3. Standardize and streamline project initiation. Project Server 2010 provides a one-stop-shopping demand management portal to help organizations streamline and standardize the initiation process for all types of work. Centralizing project and operational activities in a central system provides organizations with visibility across all requests and in-flight initiatives, so it is easy to eliminate duplicate requests and quickly assess the impact on available resources. The flexibility of Project Server 2010 helps the PMO provide departments with a level of autonomy, while standardizing the collection of data to facilitate enterprise reporting. 4. Select the right portfolios that align with strategy. Gone are the days when projects are funded on a first-come, first-served basis. ProjectServer 2010 includes best-practice portfolio selection techniques that provide ahandshake between value optimization—that is, alignment with strategy—and resourceutilization, to help organizations adopt a more rational rather than emotional approachto investment selection. The new portfolio management and analytical capabilities helpexecutives do more with less and objectively demonstrate the investment alignmentwith strategic priorities. a. Effectively prioritize and communicate business strategy. Project Server 2010 helps executives break down their strategy into actionable, measurable, and discrete business drivers. The intuitive pairwise assessment helps to ensure that organizations objectively prioritize business drivers, drive executive consensus, and derive a relative score that is used to measure the strategic contribution of competing requests. Consolidating and prioritizing business drivers within Project Server 2010 helps to communicate the strategy in actionable terms, and provide a blueprint that can be understood and implemented by departmental managers. b. Run what-if analyses under varying constraints. Project Server 2010 helps organizations prioritize and assess projects from multiple dimensions—strategic value, financial value, risk—to provide objective, apples-to-apples comparisons. The intuitive Cost Constraint Analysis view helps analysts quickly model varying budget constraints and use a sophisticated optimization algorithm to recommend the project portfolio that best aligns with the business strategy. The Efficient Frontier, Strategic Alignment, and Compare Scenario views provide powerful insights that help executives identify tradeoffs, and evaluate and refine portfolio selection. c. Proactively reschedule projects to maximize resource utilization. The new capacity planning capability in Project Server 2010 helps analysts proactively assess the impact of proposed portfolio on the resource pool, and model scenarios to enhance utilization across the planning horizon. The powerful Resource Constraint Analysis view provides a holistic portal to help organizations visualize resource shortfalls and underutilization, adjust project start dates to better utilize available employees, and model headcount decisions to identify optimal hiring strategies. 5. Easily build Web-based project schedules. 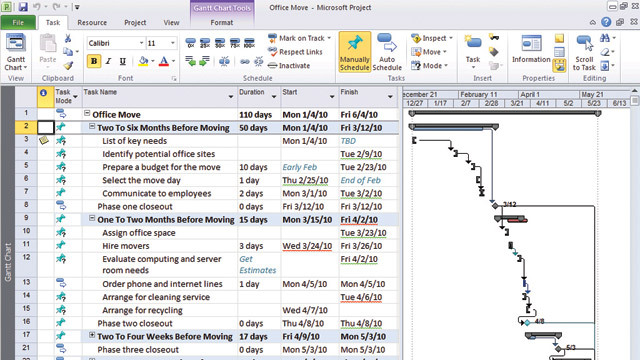 Project Server 2010 empowers a mobile workforce by bringing the power of Microsoft Project Professional 2010 to the browser with Web-based project scheduling. Project managers can now take advantage of powerful diagnostic capabilities, such as Change Highlighting and Multi-Level Undo without first opening Project Professional 2010. Web-based scheduling provides occasional and certified project managers with the flexibility to quickly build simple and complex schedules online, and conveniently edit the plan from any location over the Internet. 6. Intuitively submit time and task updates. Project Server 2010 provides organizations with the flexibility they need to centralize time capture, streamline processes, automate task management, and increase the accuracy of project forecasting. 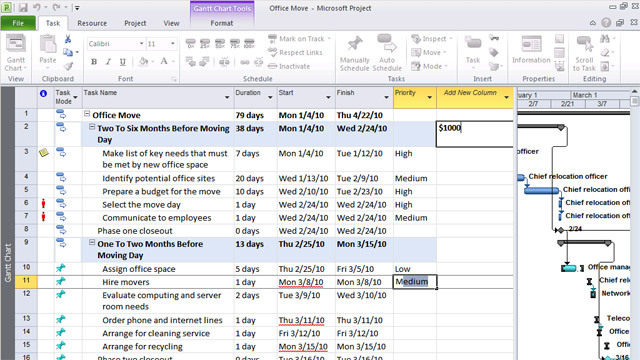 Time reporting capabilities have been further enhanced in Project Server 2010 to provide a new Single Entry Mode to unify time and task status updates. The Web-based user interface for timesheet entry and task management has been standardized to speed learning and enhance user experience. Project Server 2010 connects with Microsoft Exchange Server 2010 to ensure that team members can conveniently receive and update their project tasks in Microsoft Outlook® 2010 and Outlook Web App. 7. Gain visibility and control through reports and dashboards. Project Server 2010 provides a powerful reporting infrastructure coupled with flexible Business Intelligence tools to help ensure that organizations proactively gain visibility across their project portfolios, that they can react quickly, and can generate custom reports. Project Server 2010 uses the Microsoft Business Intelligence platform, including Excel® Services, PerformancePoint® Services, Visio® Services, PowerPivot for Excel, SQL Reporting Services, and more, to provide organizations with a comprehensive solution that will grow with their reporting needs. The solution provides nontechnical resources with familiar tools to easily create reports and configure powerful audience-based dashboards, while providing technical resources with more sophisticated capabilities to create complex views. 8. Simplified administration and flexibility. Project Server 2010 is extremely flexible and can be quickly configured to meet an organization’s unique requirements and business processes. Project Server 2010 simplifies administration through an improved console that consolidates both project and portfolio management capabilities. New features including User Delegation and Project Permissions reduce the burden on the administrator by empowering user action. Project Server 2010 helps to ensure that PMOs and administrators can spend less time managing the system and focus more on project and portfolio delivery and performance. 9. Gain additional value from the Microsoft platform. 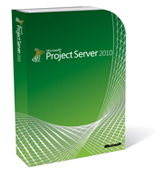 Project Server 2010 connects with related Microsoft technologies, such as SharePoint Server 2010, Microsoft Office 2010, and Exchange Server 2010, to provide a powerful and familiar work management platform. This helps to ensure that team members can choose their preferred productivity tools to easily receive tasks and provide status updates to project stakeholders with minimal effort and administrative overhead. This flexibility helps drive productivity and helps to ensure that project managers and PMOs can effectively gather the required data to drive enterprise reporting and resource management. 10. Extensible and programmable platform. Project Server 2010 provides an open, extensible, and programmable platform to help ensure that organizations can easily develop custom solutions and effectively integrate with line-of business systems. Because Project Server 2010 is built on SharePoint Server 2010, developers can take advantage of a consistent and robust platform to rapidly build and deploy solutions using familiar tools and services, including Windows Communication Foundation, Business Connectivity Services, Microsoft Visual Studio® 2010, and Microsoft SharePoint Designer 2010. To know more on Microsoft project, please click here.